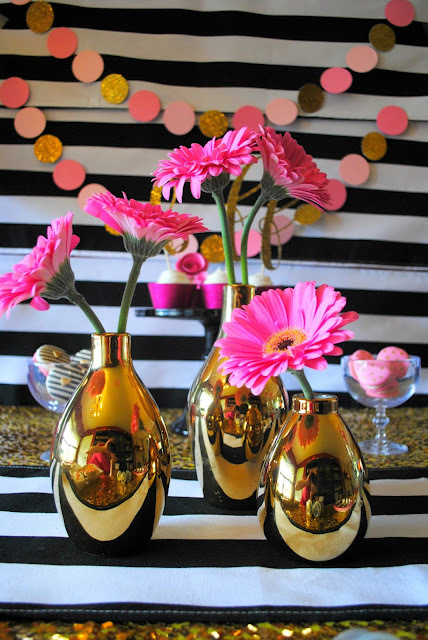 ** I was provided product by Oriental Trading in exchange for styling a party. June 8 is National Best Friends Day. Let your friends know how much they mean to you by throwing a mini party for them. Whether you take them to lunch, throw a BBQ or go all out with a party set up like I did, your friends will appreciate it. This year I wanted to let two of my friends know how much I appreciate them. These two friends helped my husband with our sick kitty while I was at a conference back in April. They came over after work every day the week I was gone. 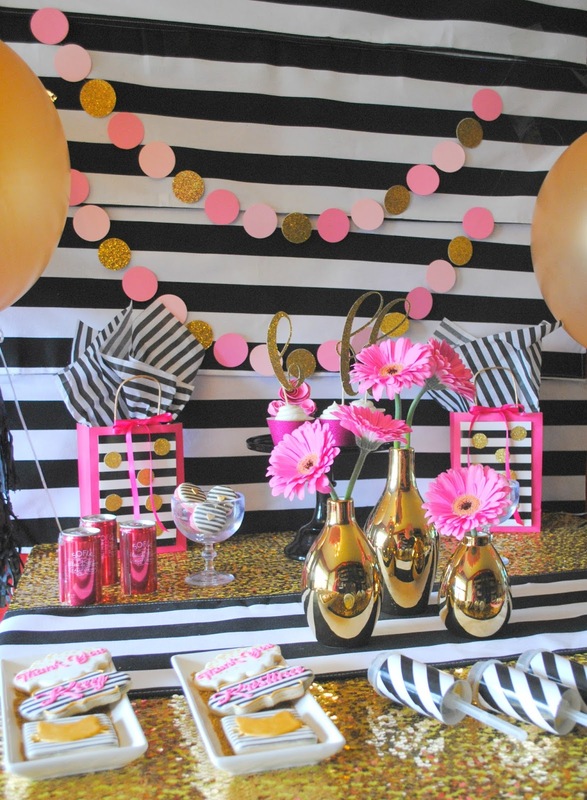 The party ended up being a little Kate Spade inspired with the black and white stripes, gold and pink. The inspiration for the party was actually inspired by some plates I saw on Oriental Trading. 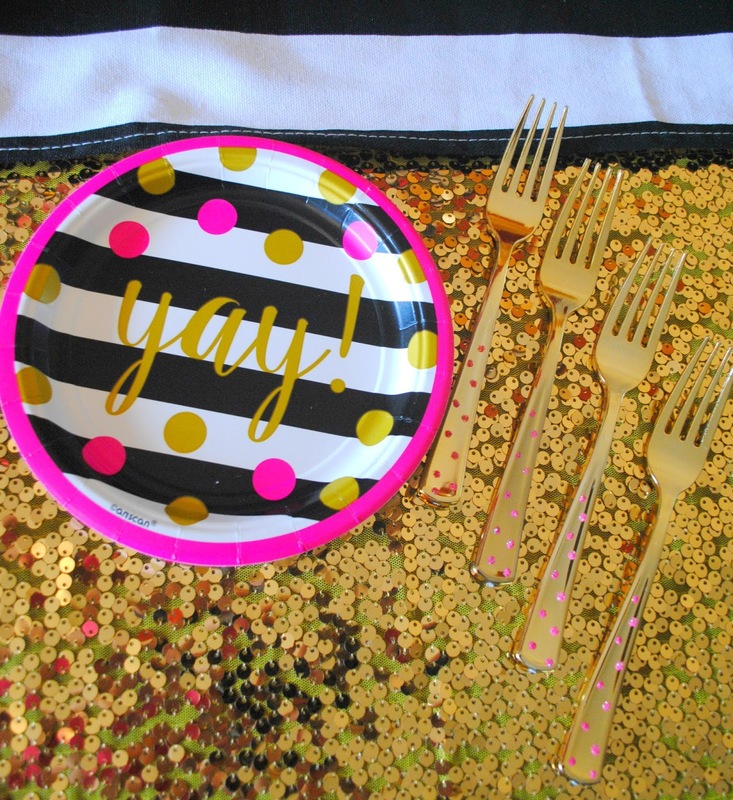 These are the plates that inspired this party. I also got these great premium gold forks that I added pink glitter polka dots too. I added the pink glitter dots using those little bottles of glitter glue you find at craft stores. I like to add extra little details like this to plastic silverware. It makes it look not so plastic. What's a little girlfriends get together without champagne. 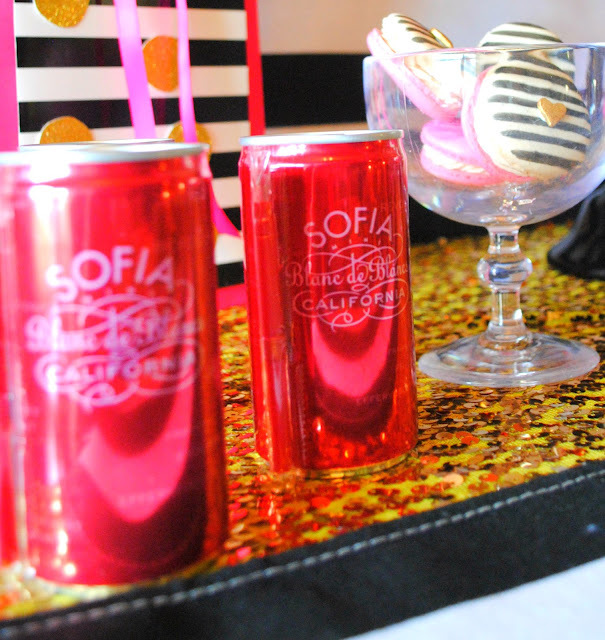 These little cans of Sofia champagne were the perfect color, just the right serving size and just plain cute and fun. 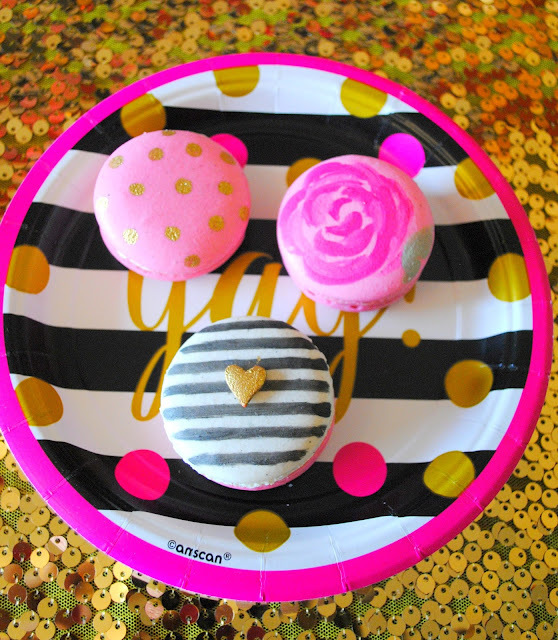 Now go shop this party and treat your friends to a thank you party. They'll be blown away with appreciation. And be sure to share those pictures with me. I love to see your parties. Share them here. Cute party! What a sweet way to say thank you to your friends. Creativities Galore, thank you. I wanted my friends to know how much I appreciate them. This black and white stripes with pink and gold? I love it! It turned out so beautifully! LaVonne, Thank you. Isn't it a great colour palette. The pink really pops against the black and white stipe.